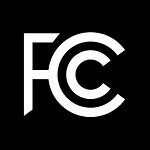 The FCC is forcing AT&T to pay subscribers who were forced from pay-as-you-go data plans to monthly contracted rate plans. After a year of investigating consumer complaints, the FCC determined that AT&T had improperly applied new plans to customers who had moved, or replaced devices under warranty or insurance. AT&T will issue refunds up to $30 per month, for each of the months subscribers were affected by the switch. The carrier will also pay $700,000 “voluntarily” to the US government. AT&T will also set up an extensive compliance plan to ensure that customers are properly notified, customer care representatives are properly trained and will provide compliance reports. If you are an AT&T customer, you will be notified on your bill if you qualify for the refunds. Existing devices that can be replaced on grandfathered pay-as-you-go plans will be identified and subscribers will be allowed to move those devices to the previous data plan if desired. The consent decree involves less than 0.03 percent of our wireless customers, who inadvertently had a monthly data plan added to their account after getting a new smartphone through a warranty or insurance exchange or after relocating. We had already discovered and corrected the issue by Nov. 2010, and had given refunds to customers who contacted us. Based on a review of our refund process, we believe a vast majority of those customers affected by the billing error have already been made whole. But as part of the decree we’ll be providing a bill-page notice to affected customers, offering refunds, and giving them the option to return to a data pay-per-use plan, or to have a data block applied to their phone.